If you or a member of your family has a spinal deformity you probably have questions and concerns. The health care providers and nurses in the Boston Children’s Hospital Spine Program have prepared this guide to help answer your questions. In it we describe spinal deformities and explain both non-operative and surgical treatment. Your orthopaedic surgeon and nurse are ready to answer your questions and help you understand your particular spinal abnormality and treatment. This guide is not meant to substitute for discussions with the health care provider or nurse. No question is too simple to ask. Please write down any additional questions you have and bring them when you come for your next appointment. We welcome your questions. Avoiding future problems: Scoliosis rarely seems a problem to the child or adolescent who has a curve. Why then do we bother to monitor and treat curves? Adults with moderate or severe scoliosis can have progressively worsening curves which cause cosmetic disfigurement, back pain and in the worst cases, difficulty breathing. Treatment after the curve has already become severe in adulthood is much less successful than treatment during childhood or adolescence. By finding progressive curves early, we hope to keep them from becoming problematic in adulthood. The goal of the surgery is a usually a solid fusion (stabilization) of the curved part of the spine. A fusion is achieved by operating on the spine, adding bone chips and allowing the vertebral bones and bone chips to slowly heal together to form a solid mass of bone called a fusion. The bone chips (bone graft) may come from a bone bank or your hip (iliac crest). Usually, the spine is substantially straightened with metal rods and hooks, wires or screws (instrumentation). 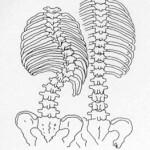 The rods hold the spine in place until your child’s fusion has a chance to heal. 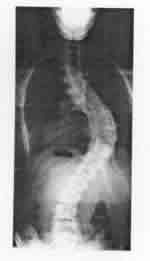 Once the fusion has healed (usually 3 to 12 months) the abnormal section of the spine cannot curve more. The rods, hooks or wires are usually left in your child’s back without causing any problems. Surgery varies greatly depending upon the amount of spine fused and your child may or may not experience a noticeable loss of spinal motion. Your child’s health care provider can tell you what activities he/she can do after a spinal fusion. Most sports are possible after a spinal fusion. Posterior fusion with instrumentation is the most common operation done for idiopathic scoliosis. In the posterior fusion the spine is operated on from behind with an incision straight down the back. Various types of rods, hooks, wires or screws are used to partially straighten the spine and hold it fast while the bone fusion occurs. For most of these operations on idiopathic scoliosis, no brace or cast is used postoperatively. 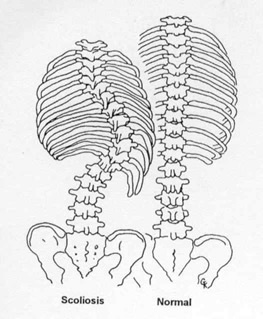 In some congenital scoliosis or spondylolisthesis the posterior fusion may be done without instrumentation, and a brace is needed postoperatively. Some special cases of spinal deformity require both an anterior (front) and posterior (back) operation. Usually these can be done on the same day, but sometimes must be done at separate operations. MAGEC™ (MAGnetic Expansion Control) or VEPTR™ (vertical expandable prosthetic titanium rib). Sometimes stabilization of a curved spine is needed at an age too young to be fused. In very young patients, rods can be attached to the spine (growing rods) or ribs (VEPTR) and periodically lengthened to keep up with spinal growth. Rod lengthening can be done with a small day surgery procedure or sometimes just using a magnetically driven rod (MagEC) without surgery. At an older age, a spinal fusion can be done. This guide was prepared by the Children’s Hospital Orthopedic Surgical Foundation for use by the Spine Program and adapted by the Center for Young Women’s Health.